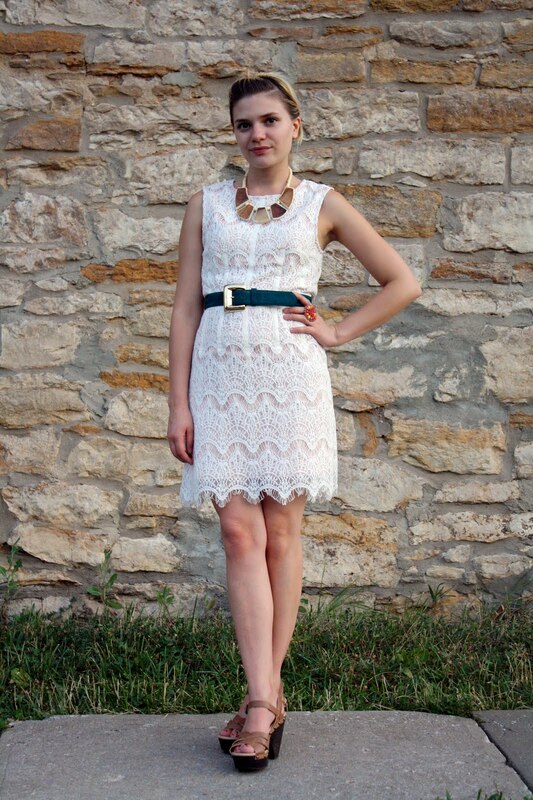 When I first received this darling frock from Threadcase, my instinct was to style it in a pretty and proper way. Rather than go the expected route, I decided to give it a more bohemian treatment with a chunky wooden necklace, bold suede belt and casual platforms. I loved the result, but next time around, pink pumps and pearls it is. I love that necklace! so cool and interesting and the wood looks so pretty. great idea to pair it with lace! Love this dress! Your styling is great - I would have gone the "proper" route too, but I love the bohemian twist. Love this dress, and especially love the way you styled it. Unexpected, but definitely works well! That necklace is simply fabulous! What a versatile dress, I'm liking this more casual bohemian look and can't wait to see the lady-like outfit. The wood necklace is amazing, at first I thought it was a part of the dress! I really love the teal belt you paired with that pretty dress. Awesome necklace too. Looveee the belt & shoes. I love the unconventional take on this dress! I wear dresses so often. It's nice to get good ideas on how to give them a different look. I love how you went unconventional with the lace. I did the same thing recently and was giddy over the look! Although, I can't wait to see the demure look you create! Love this dress..especially the hemline. So pretty! I got the same shoes from Target also for $12 bucks. I was pretty excited about it. Can't wait to style it. Based on your posts, it will go with a lot of things. I love accessories that can compliment any outfit.